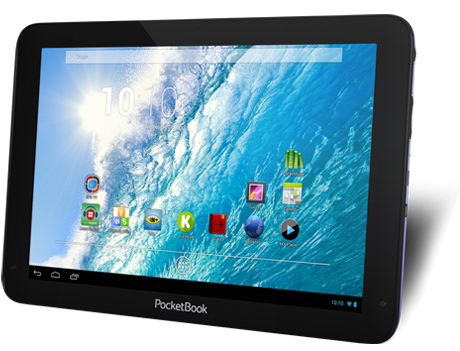 Surf the Internet watch videos share your emotions online and forget charging with the new 10 inch PocketBook tab. Handy and presentable PocketBook SURFpad 3 (10,1") gives a sense of comfort for those who like surfing the Internet and watching HD videos due to its 10 inch form-factor. Multisensor 10 inch HD IPS display with 1280*800 resolution guarantees maximum joy when you watch videos. In-Plane-Switching (IPS) technology promises bright and sharp image regardless of viewing angles. 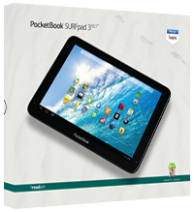 PocketBook SURFpad 3 (10,1") is equipped with Bluetooth, GPS module, 3G modem. The newest Android 4.2 is used as an operating system. The new PocketBook SURFpad 3 line will add bright emotions to your life! Quad core CPU and 1 GB RAM guarantees an immediate response of any app, simultaneous performance of a number of tasks and uninterrupted playing of video files of any quality.